When Sagada was feautured in the movie ‘That Thing Called Tadhana’, I admit I was a bit disappointed. You may call it greed, but I don’t want people coming to this place. But now that the secret is out, I thought I might share why I felt the need to do so. This place is just pure majestic! 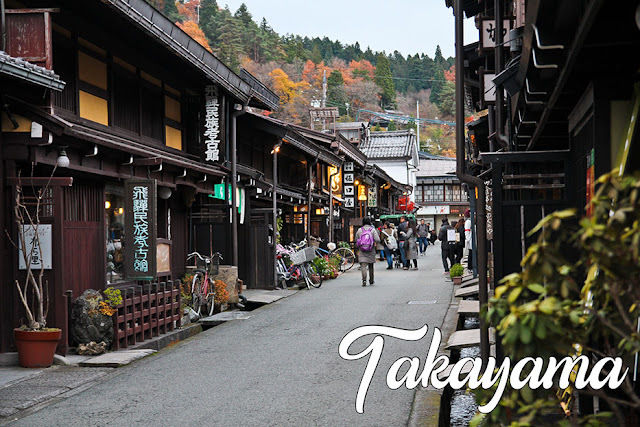 It has everything that I like – food, chill vibes, cold weather, lots of exciting activities and wonderful people. 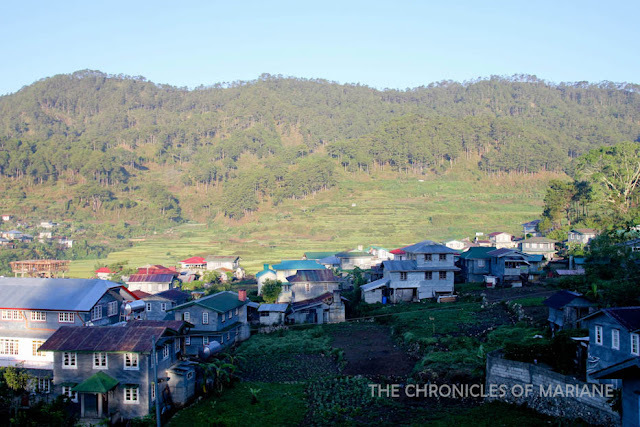 I only stayed there for three days but I think of Sagada from time to time every time I feel like going somewhere nice. What a beautiful morning in Sagada! At one point, I wonder how it would be to travel to Sagada DIY. I took a tour from OLX, which includes the pickup from Banaue (because I went there for a sidetrip first). 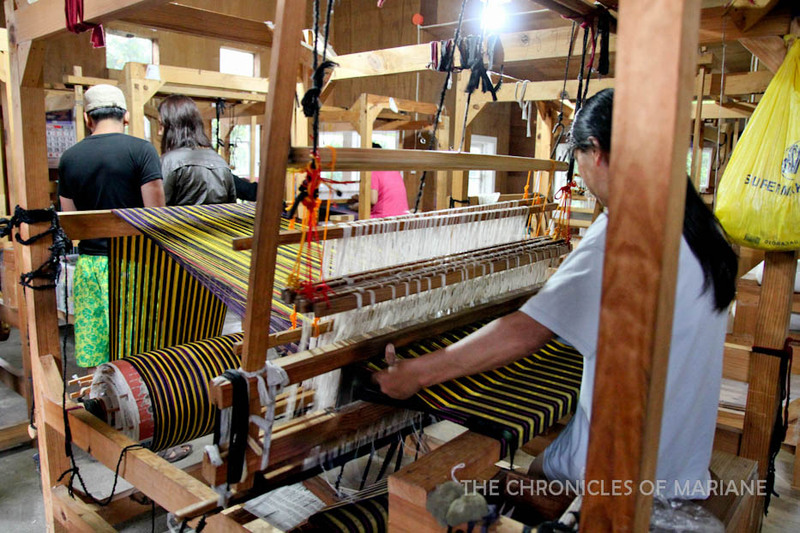 The package includes pickup and drop off to Manila, accommodation, local transportation and lodging. Hassle free especially if you are not used to planning and budgeting for trips. 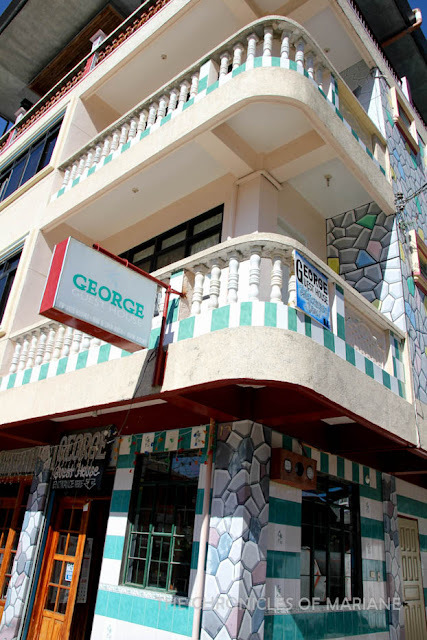 Our guide made all the reservations at George Guesthouse – basic amenities, but clean with private bathrooms included. 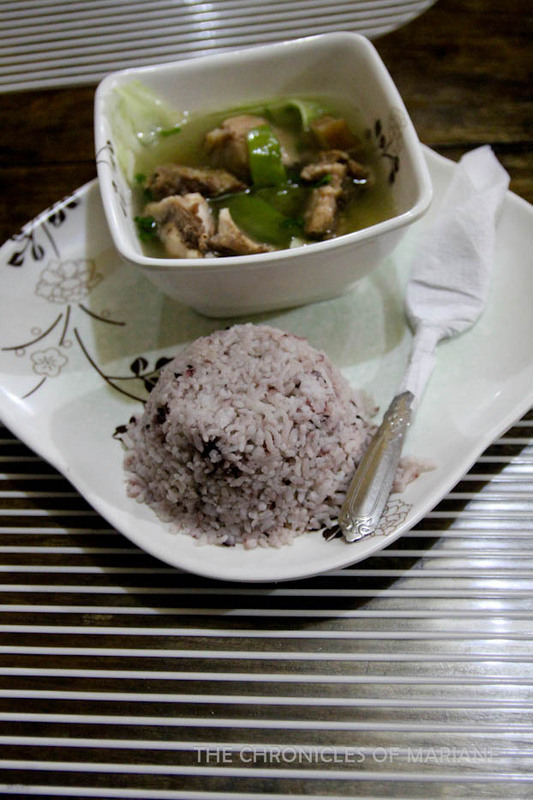 We were famished when I finally reached Sagada after a detour in Banaue and Bontoc, so we requested that we eat a decent meal first. Who would have thought that we’d find a Korean eatery in this place? The Kimchi Restaurant Bar has decent meals with fresh veggies, but of course, if you’re looking for a place to hang out come nighttime then this is the place to go for booze. We were told to prepare for some “intense” activity after a quick rest and change of clothes. Cave Connection is what we were told. 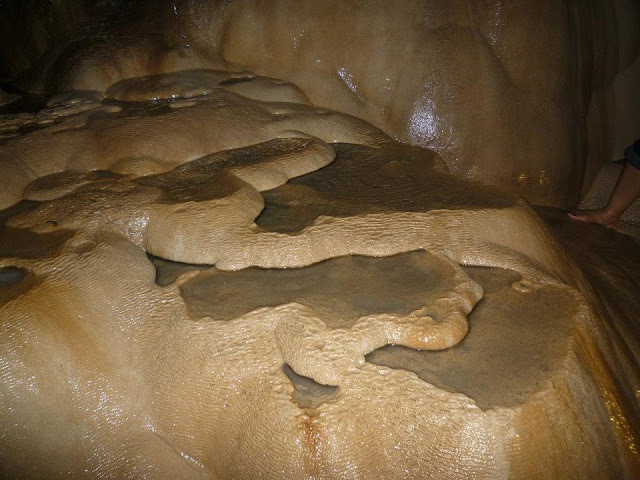 So probably have something to do with caves, but we expected just a small cave like Hoyop Hoyopan Cave in Albay. We started at the entrance to Sumaguing Cave at around 4m, it started to rain so it was a bit chilly, but we were not prepared to brave out the coldness inside the cave! 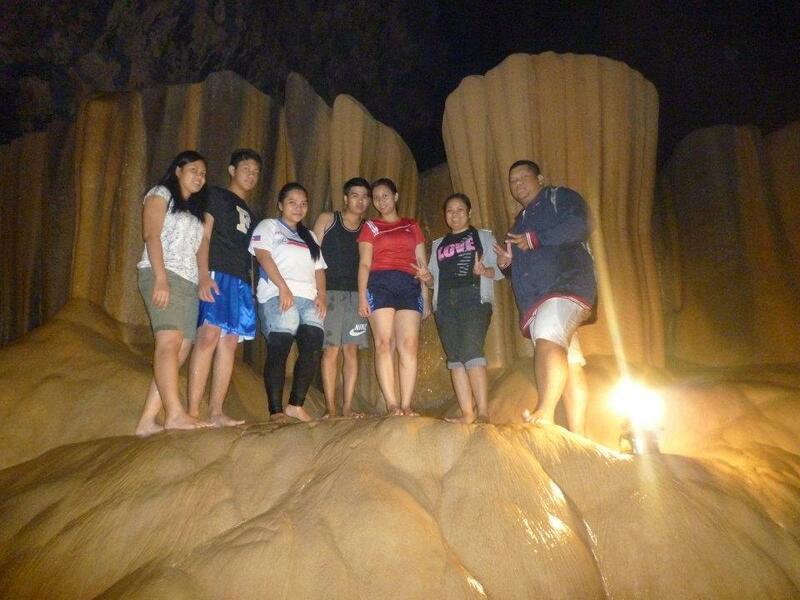 This was actually my first time to try cave spelunking so I had no idea what to expect. But I can’t help but to feel anxious as we started our exploration and I realized how massive this cave is, how dark it is everywhere, I was afraid I might slip and miss steps and get lost. 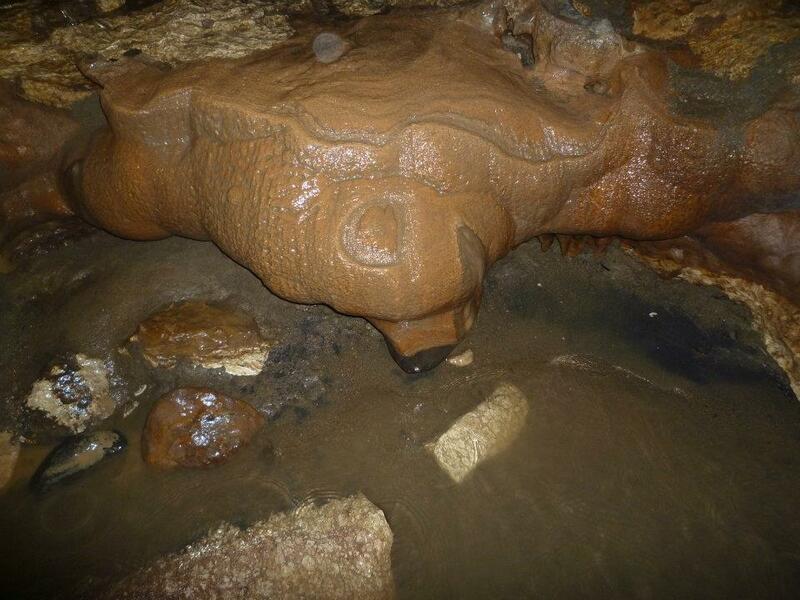 it’s fun to look at these cool rock formations. What do you think this looks like? True enough, the cave gets deeper as you go further. There are more challenges to like cold water, bats flying out of nowhere, and trails that seem impossible to pass through. I’m really amazed by our local guides who were multitasking – assisting a group of seven people through the rugged and slippery ground carrying only one lamp, using their bodies as makeshift climbing holds (these guys are super lean but they can carry heavy tourists like me lol), helping take pictures and of course, guiding us through the rough path. 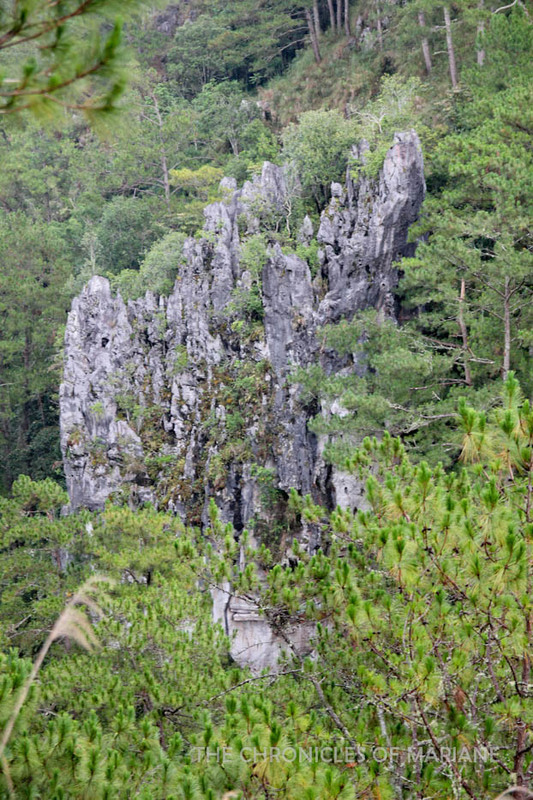 They told us there were four levels inside Sumaguing and they are distinguished by the size of stalactites and stalagmites present. I think it took us about three to four hours to go back and forth, we opted not to go to Lumiang Cave as it was already late and we were told that there would be more climbing and challenges there but we already used up all our energy XP, but I think next time I go to Sagada, I might sign up for this entire cave connection experience again. This was an #ExtraChallenge moment for sure! I can’t remember having dinner after as I was dead bet tired and probably just went to sleep as soon as we reached the guest house. It was another physical activity for us – my first day of this trip, I was in Batad, then spelunking the next, and now, a four-hour trek to Bomod-ok Falls. It was a hot April day in Sagada so wearing a hoodie was probably not the best outfit choice one could make. We faced muddy trails along the way since it rained quite a bit the previous day. 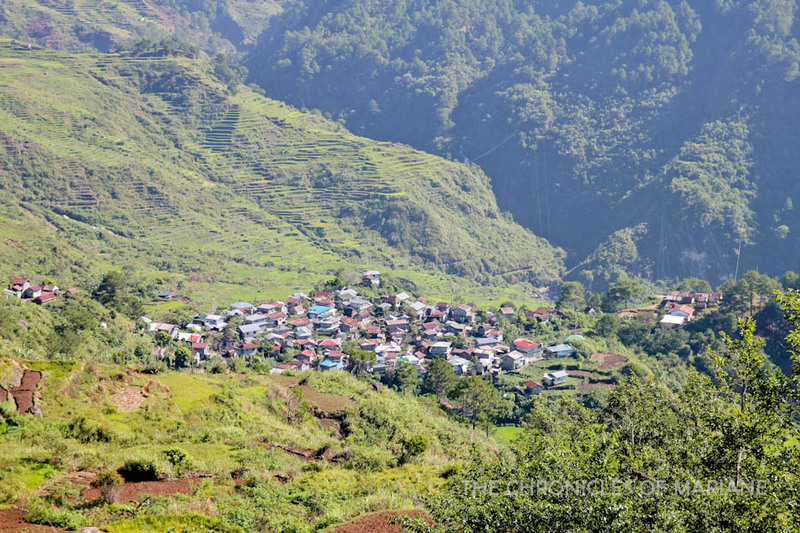 We passed by a small barangay nestled along a small section of rice terraces so we were rewarded by stunning views. 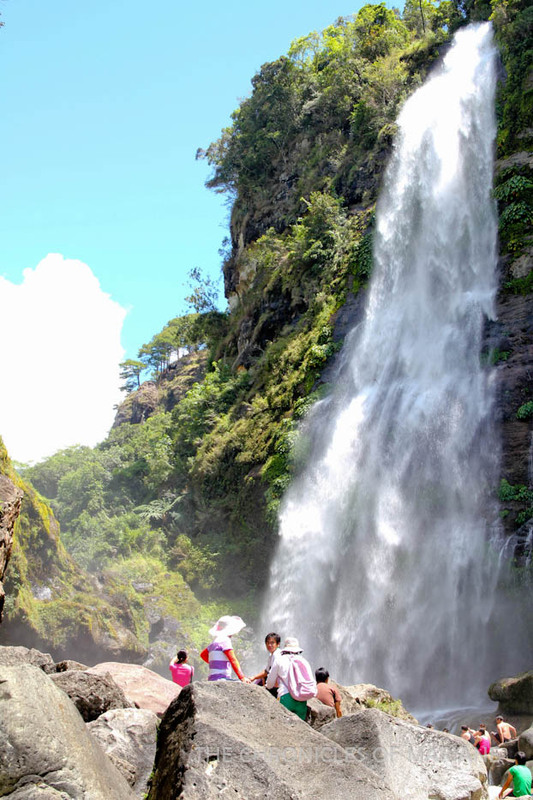 It was a relief when we finally reached Bomod-ok Falls, which according form our guide, is the biggest waterfalls in the area. 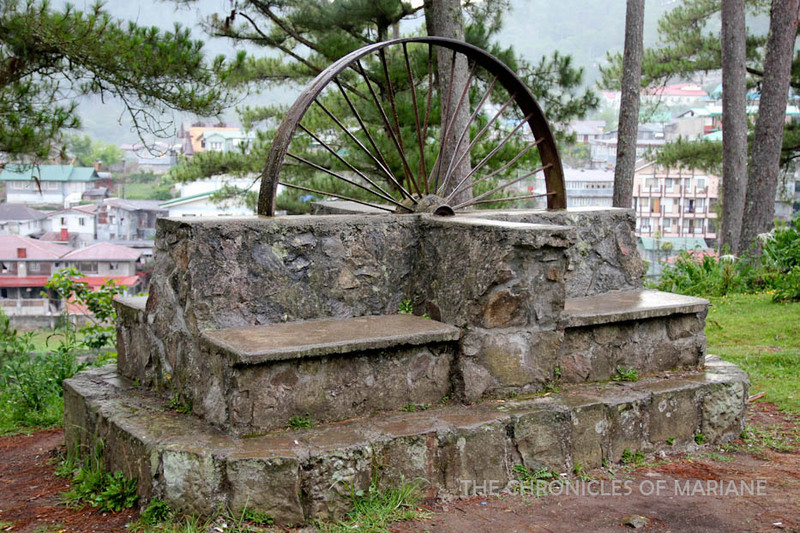 Despite visiting during the summer season, Bomod-ok did not fail to deliver strong gushes of water. What a wonderful view! We learned later on that there was an easier route to the town center, I think we managed to go after an hour and a half to our guest house. It was lunchtime already by then so we decided to eat at the famous Yoghurt House. 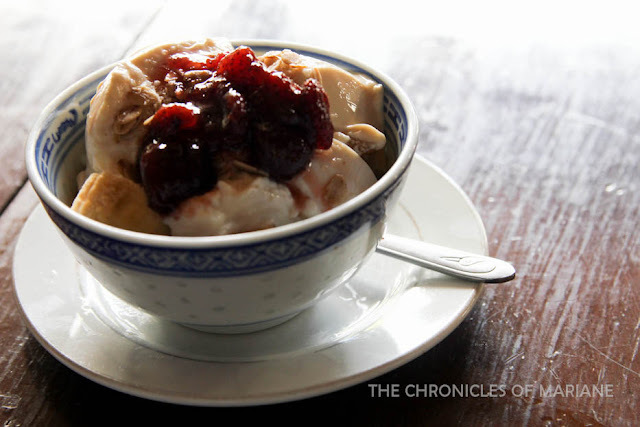 I love yogurts and anything with sweet/sour flavor in it, but mind you, this is not the usual yogurt that we are used to buying in our local supermarkets. The taste was stronger than the greek yogurt and it’s really sour (yey)! They also serve pastas and other dishes at a reasonable price. There are lots of interesting places to visit that are located just around the town center. Our first stop that afternoon was Sagada Weaving House, they have lots of local woven products for sale but beside that, you can actually how the colorful products were made! 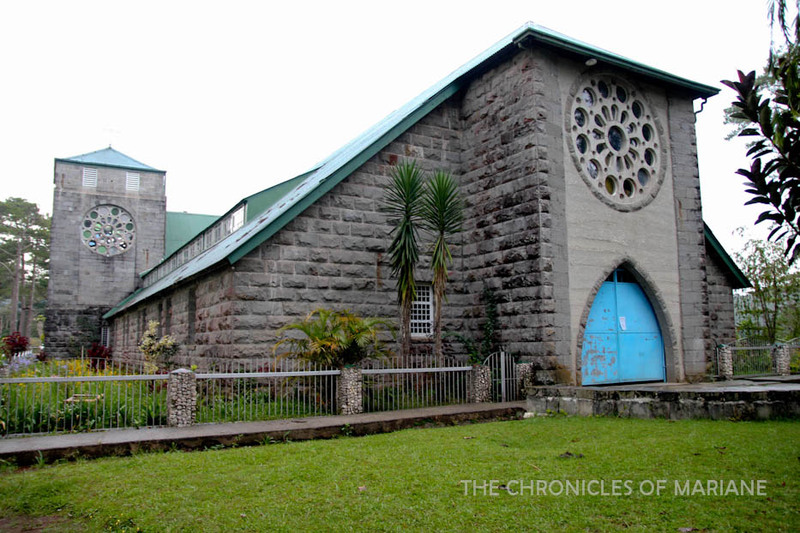 The beautiful St. Mary The Virgin Church, built during the early 1900s that bridged the Christian faith to the locals. 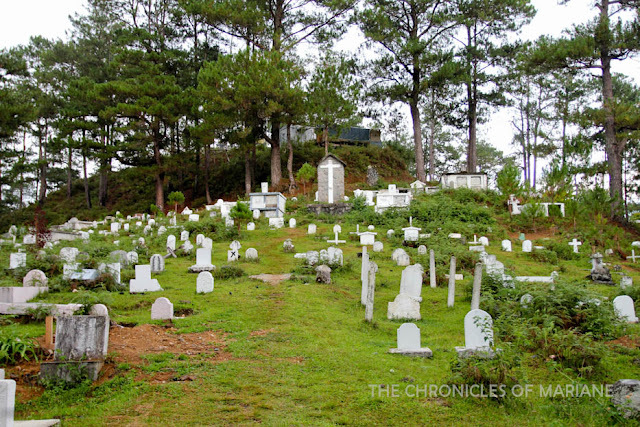 I also liked the Sagada Public Cemetery (which by now, you should know I am fascinated by all the creepy things, like cemeteries of course, we visited a beautiful one in Penang) I remember it for the Panag-apoy Festival celebrated during All Souls day. If you get woozy by being in high-places, you might want to avoid going to the Echo Valley, but believe me, it’s worth seeing for the Hanging Coffins. As our tour guide suggested, we shouldn’t trek down to the cliffs where the coffins are set as this is a very sacred place for the residents of Sagada. 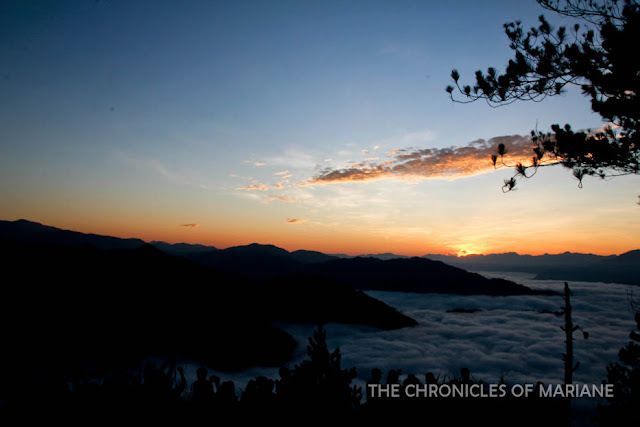 The Igorot belief is that the higher the coffin is, the faster the departed can reach heaven.This ancient practice was also discovered in China and Indonesia. For dinner, we tried Chicken Tinola cooked using the pinikpikan style, which is a unique way of how Cordillerans prepare a dish. It is quite morbid so I’ll just advise you to google it. 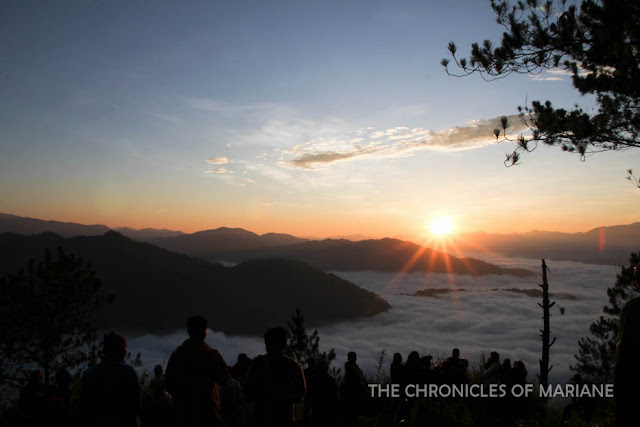 Day 3 – No goodbyes, Sagada..
5 AM. That was our call time for our last day in this lovely place. I normally don’t wake up early (since I work mid shift) but this time, it’s going to be for a ‘special’ cause. Finally, it’s sweater time, mornings in Sagada are chilly AF, as them teenagers would say. Even during summer months, it gets really cold during mornings like this when you are on top of the mountain and surrounded by pine trees. We reached Mt. Kiltepan after a couple of minutes but we didn’t have to wait for long before the sun started to show up. 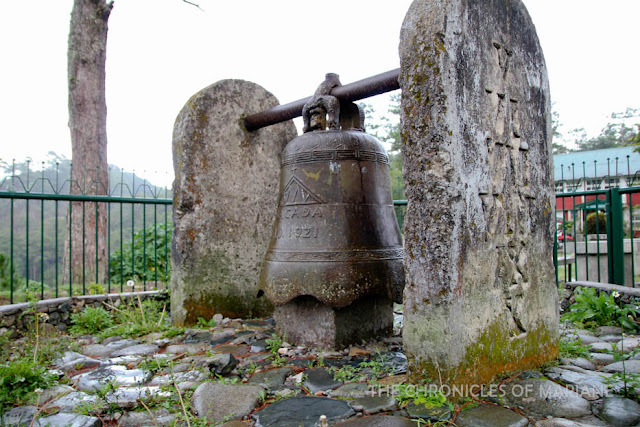 It got really crowded at the area called Kiltepan Viewpoint, but I am glad that almost everyone was enjoying the moment and not busy tinkering with their phones (but then again, this was in2012). What a wonderful moment, it’s almost like being in a sea of clouds. As soon as we got enough sunlight, we started the 30-minute trek to Lumiang Cave. 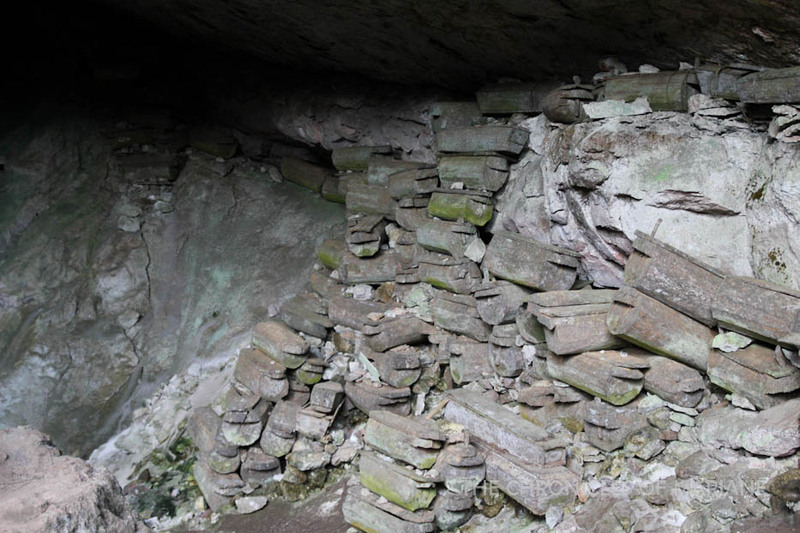 Aside from being the other half of the ‘cave connection’, it is more distinguished as a burial site with all the coffins still intact despite being there for hundreds of years. It is sad to see that there are some graffiti around the area, but now that this has become a popular tourist attraction, I think the government has paid more attention to taking care of it. 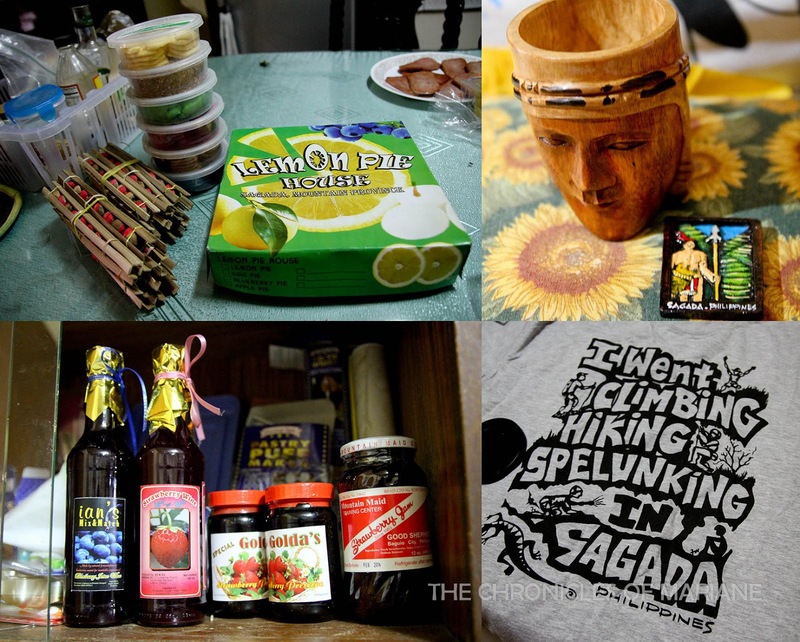 Before we left, we couldn’t resist leaving without any pasalubong. So we hit two birds with one stone, we went to Lemon Pie House for breakfast and also take away goodies. I love sweet tangy cakes so I got me some Lemon Pie. Too bad the blueberry pie was not in season. I really think I’d be back to Sagada sometime next year. 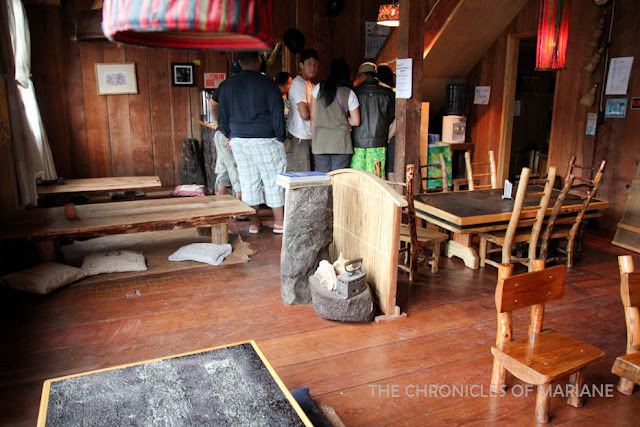 I plan to hit up some places that I did not get to see such as Lake Danum, and try out more eateries, perhaps I should start again from Banaue, especially since there is a recommended Banaue tour from Manila that I can book if I don’t want to hassle myself doing it DIY-style. 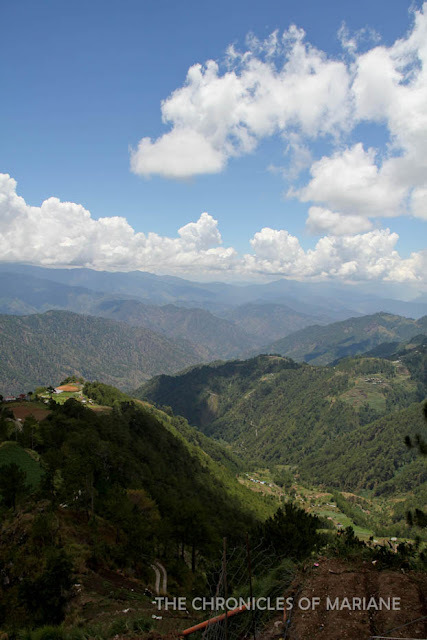 It might be a bit early but I see myself retiring in a place like Sagada. I even inquired the possibility of outsiders acquiring a piece of land, but sadly, they still follow the local tradition of passing it to the next generation. It was quite disappointing, but I understand, really. Who in their right mind would give up on this place anyway? Now, time to marry off to a local Igorot.